Publication club, under the supervision of KCM Student council organized Mad Ads on 16th December, 2016. The show was unique in the sense that gave a platform to young talented people to showcase their abilities to perform yet be creative. Six teams participated in the show, all of which had shown a unique talent on advertising their products. The teams were provided with the products/ Topic on the spot and they had to create an advertisement about it. The participants inserted their own ideas to make their act more funny and lively. Their acts were quiet interesting and creative to watch which were judged on the spot by two of our faculties. The show gathered a number of audience who not only had a great time but also boosted the confidence our participants. . 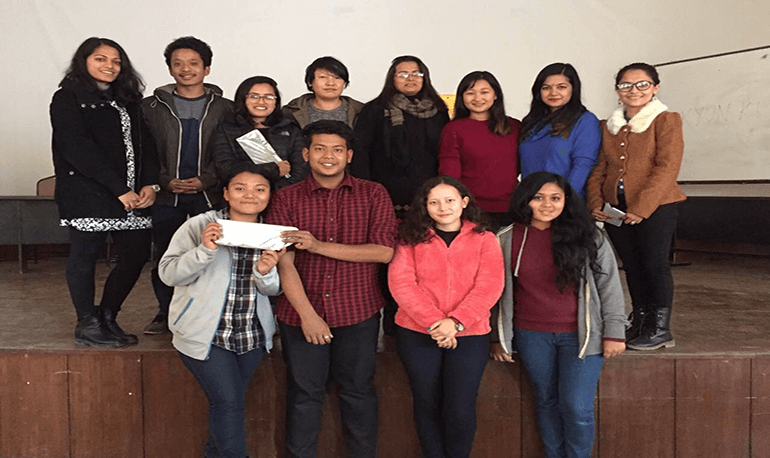 The winners of this competition were Sophie Pradhan, PräsiddhaPalikhe, GyalmuDiki Sherpa and Shreya Karki. And people’s choice was awarded to Upagya Shrestha, LhakpaYangchen, NeelamGurung and Bhushan KC.